"Cheaper, more capable, and more ﬂexible technologies are accelerating the growth of fully automated production facilities. The key challenge for companies will be deciding how best to harness their power." Today’s demanding global manufacturing environment requires innovative solutions that address your unique business challenges while helping you maintain and increase your competitive advantage. From simple to highly complex machine solutions, we can collaborate with you to provide cost-effective and dependable custom automation equipment that supports your operational efficiency, profitability and safety objectives – and many times, the solution may surprise you. At Live Automation we pride ourselves on thinking outside of the box to help clients exceed the competition. Approaching projects with a combination of both unparalleled technical knowledge and a creative mindset has become a hallmark of our reputation. 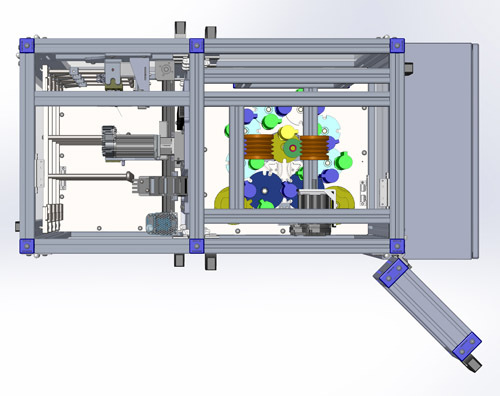 Our goal is not only apply creative problem solving skills to overcome your challenges, but to leverage our expertise in custom machine designing and building to uncover new automation opportunities where repeatable processes exist or human intervention is traditionally required. We’ve worked with them all - highly-automated companies that use custom machinery in their manufacturing processes and those companies new to automation that need step-by-step guidance. No matter where your company lies on the automation spectrum, our over 15 years of experience in consulting, concepting, prototyping, design and integration, enables us to deliver the talent and resources required to customize a modern solution that best fits your needs. Live Automation specializes in design, engineering, manufacturing and retrofitting custom automation machines for a variety of complex processes using the latest, state of the art manufacturing technology. And unlike other custom machine builders, the team at Live is also capable of programming your equipment utilizing your current control platform, affording you the convenience of one partner for all of your industrial automation requirements. After all, we started as the PLC Guys! 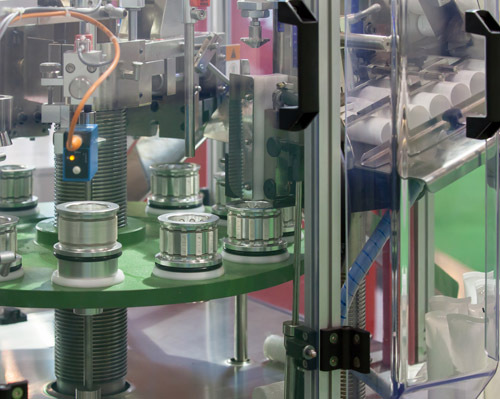 Automated equipment can run faster, more efficiently and for longer periods of time than manually operated equipment. This allows you to successfully manage an increased workload, which in turn increases your revenue. Manufacturing products of consistent quality requires the ability to perform detailed production tasks with high repeatability. Even a well-designed manual process will vary in results and impact the ability to control quality. The same task that takes place hour after hour can lead to fatigue or distractions, and tired workers are prone to making mistakes. Using automated equipment allows you to replicate processes many times over to create identical parts with very tight tolerances. The precision achieved by automated equipment ensures that the product will meet the original design specifications and reduce the amount of error and waste. Your workers are better used elsewhere to supervise the automation machinery or work in a position better suited to their skillsets. Utilizing automated machines minimizes having employees perform tasks that can be dangerous and prone to injury, which can jeopardize your efforts to make the work environment safer. Robots are designed to readily take on unpleasant, arduous and potentially health-threatening tasks that may typically be manually executed by employees. In turn, robots can help reduce the likelihood of accidents caused by contact with machine tools or other potentially hazardous production machinery processes. All of our machines are designed to meet strict safety guarding and safe operational requirements as necessary. Whether you need a preliminary consultation, Skunkworks R&D or have a specific custom automation project on the horizon, give us a call at (866) PLC-GUYS. We'll be happy to help you from start to finish, no matter how big or small, simple or complex, because we love our job and we’re really good at it too!